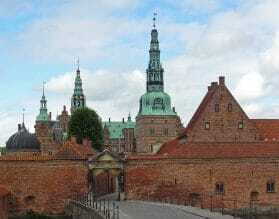 How to Travel in Scandinavia? The Northern European Scandinavian countries of Denmark, Norway, Sweden, and Finland all have breathtaking nature, and sophisticated cities. The region is a year round destination that works whatever the weather - snow and ice or sun! There is something for everyone family travel, self - drive or a custom private tour. Our Simply Exeter programs feature the top highlights of each major city, are ideal for the more independent traveler who still wants Exeter's 24-hour on-the- ground support. In Norway, our Ultimate sample itinerary is an inspiration for a full service, completely personalized program for the ultimate in luxury travel to Norway. Private shore excursions in Helsinki, Oslo, Bergen, Stockholm, Visby and Copenhagen ensure you don't have to follow the crowd! 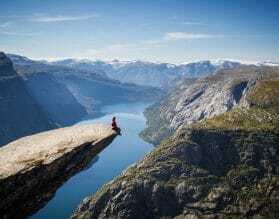 Where to Travel in Scandinavia? 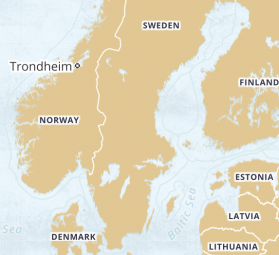 Many islands constitute Scandinavia’s territory, and they rest in the North Sea. Fragmented from the mainland, the principal countries are Denmark, Norway, Sweden, and Finland While they may share a certain degree of similarity in their environment and climate, each of these countries are culturally and linguistically quite different from one another. Want to experience your own Winter Wonderland? They know how to do winter in Scandinava! The Danes even have a word for it - Hygge (pronounced hooga) is not easily translated, but roughly means 'cosiness'. Lapland in particular, becomes a true wonderland during winter. Book a log cabin and explore the snow-clad landscapes by snowmobile, husky sledding excursion and reindeer safari. The dark winter nights also afford the best opportunities to witness the Northern Lights. Being this far north means that it is feast or famine in terms of light. Summer is a long awaitied season in Scandinavia and daylight hours seem endless. Enjoy the midnight sun with a coastal cruise or a railway journeys through epic scenery. Wild and craggy, Scandinavia’s coasts jut out like many fingers into the sea, some jeweled with towns and cities, others teeming with dense forest and stark wilderness. Nature and culture collide in a burst of feral beauty, not unlike the magnificence of its natural phenomenon–the mystical Aurora Borealis. Sparkling fjords, icy glaciers, and sleepy fishing villages, are all intrinsic to the seafaring way of life. 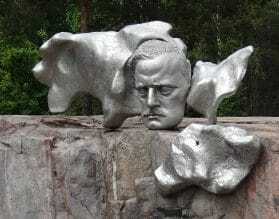 Sweden is home to the Nobel Peace Prize, and ABBA, Norway to Edvard Munch. 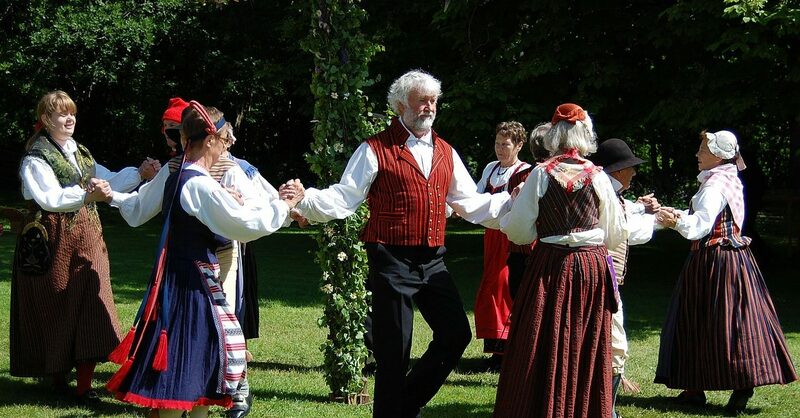 Scandinavia is as much a haven for the culture curious as for those who nurture nature. Most Scandinavians descend from Norse (men from the North) ancestry, though the Finns come from Suomi stock. Some Norsemen were better known as Vikings - that is those Norsemen who sailed overseas to maraud and pillage from other lands. A medieval pirate-like existence, being a Viking in ancient times was a matter of honour to the Norse, and Vikings gained higher social stature. Norse mythology is fascinating. From Thor the ferocious protector of humanity, to Frey who brings peace and harmony, the Norse pantheon of gods and goddesses is eye-popping. Some scholars believe that Norse mythology draws on the ancient pantheons of Proto-Indo European myth and legend. The nine worlds of the Norse cosmos revolve around Yggdrasil, a central cosmological tree – not unlike the Tree of Life. 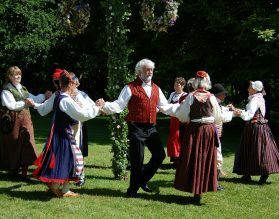 So cut to the modern day, where the Scandinavians are considered among the most progressive human beings on the planet. Denmark’s “Happiness Index” reigns among the top nations of the world, while Norway offers parents one luxurious year of maternity and paternity leave, Scandic design and manufacture are the new contemporary signature in living, and how can we not mention that the Nobel prizes are awarded from Oslo and Stockholm. Be it culinary (salmon smorgasbord! ), to literature (Stieg Larsson’s legacy), to music (try Abba or Sibelius through those Bang + Olufsen speakers), film (Bergman’s iconic Seventh Seal), and not least aquatic adventures (the Kontiki crew!) – the Scandinavians have certainly made their mark on the world. Allow Exeter International to open the doors of luxury travel, tours and vacations to Scandinavia, contact one of our travel experts.